APPLICATIONS for 2019 COURSES ARE NOW OPEN. Welcome to the Academy of Dance & Musical Theatre, Brisbane! For those who have been captivated by the thrill of stepping out on stage and getting lost in the world of dance or musical theatre (or both!) ADMT provides the skills and knowledge needed to accelerate your career journey to professional performing artist. Whether you want to develop your practical skills to move directly into the workforce, transition to university to further your studies or need to boost your OP to get into your dream university course, ADMT has a pathway option for you. Being a professional dancer or musical theatre performer not only requires advanced performance skills in dancing, acting and singing but also knowledge of how the industry works, business skills, choreographic skills, design skills, music theory, health and fitness plus other associated units and how it all comes together. “hands on” experiences. Develop your professional networks while you study and participate in live productions and performances in preparation for the challenges of life as a performing artist. 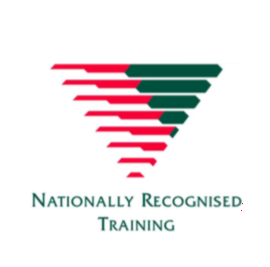 The Academy of Dance and Musical Theatre works in partnership with Registered Training Organisations to deliver quality vocational training at a national level. with Australian Dance Institute RTO 91600. ADi is the premier provider of professional vocational dance education in Australia. ADi recognises the following dance society syllabus ADV and RAD as recognition of prior learning for the technical classical, jazz and tap components in Certificates I – IV in Dance. ADi courses are nationally recognised via the government vocational training package CUA Creative Arts and Culture Training package through ASQA (Australian Quality Skills Authority). The qualifications encompass not only the technicalities of the dance style but also anatomy and physiology, dance history, nutrition, safe dance and stage craft. Age and experience will determine the most suitable level for a student. All academic learner guides are purchased through ADi at an additional cost. Please contact The Theatre Factory for further details.